VIMFF 2018 Guide To Our Rio Shows And Help Save The Rio! 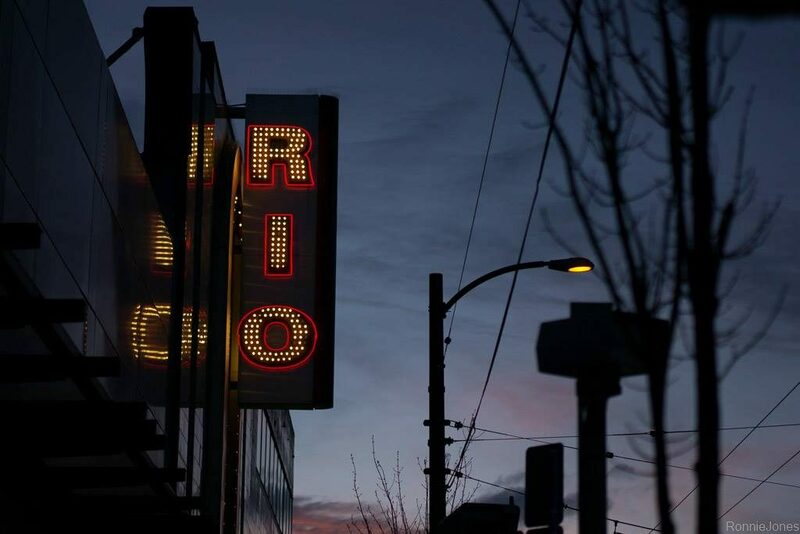 With community support, the Rio has emerged as one of Canada’s most successful live performance/single-screen venues, and leads the way as a model for all independent theatres, but it is now at risk. The Rio building has been listed for sale, and with zoning changes it is likely a developer will ultimately tear it down. They have started a petition to collect as many signatures as possible to demonstrate the community’s support in saving the existing, historical, art-deco venue that we all know and love. Head over to the link below to read more and to help save the Rio! We have 9 great shows at the Rio Theatre coming up from February 9 – 17 featuring local and international guest speakers and epic film line-ups! Each year, we have added more shows to the Rio because of the amazing community that attends and the great atmosphere the theatre provides. Below is our VIMFF 2018 Guide to the Rio Theatre Shows. Find out what it takes to solo SUP across the atlantic ocean and how to navigate with 4 friends on a SUP tour of the Broken Islands off the coast of Vancouver Island! Chris Bertish recently redefined the concept of Extreme Adventure by becoming the first person ever to Stand Up Paddle across any ocean. Defying all odds, Chris paddled 7500km – solo, unsupported and unassisted – for 93 days, across the Atlantic Ocean from Morocco, Africa to Antigua in the Caribbean. This is a truly unparalleled global feat! On the same evening, join Kristina Engel and friends as they share a tale about being some of the first people to have SUP toured the Broken Island archipelago. A show with a twist, high flying acrobatics, live music, and an inspirational story that’ll leave you craving island adventures. Following Chris Berish and Kristina Engel’s presentations will be a screening of Skye’s The Limit which follows one woman’s extreme solo stand up paddle-boarding voyage, circumnavigating the wild, rugged and beautiful Isle of Skye in Scotland, highlighting the vulnerability to plastic pollution, and empowering positive change. A celebration of art in the mountains – photography, painting & filmmaking. Join John Price, photographer & climber, and Jessa Gilbert, painter & adventurer, as they tell stories of how they connect their passions for art and adventurer into their daily lives. The night will also feature 3 films about adventure photography including the film Camera Trap directed by Marty O’Brien which offers an intimate look into the work of Peter Mather, who uses the art of photography to shine light on the importance of protecting the Porcupine Caribou herd – one of the largest caribou herds in North America. Two very different solo journeys into the great unknown. Hiking the first 600 kilometres of The Great Divide Trail by herself, Janneke Vissers learnt to become comfortable alone in the mountains and made this trip not only an amazing and beautiful experience but also a journey for the soul. Her presentation is for everybody who wants to know more about the GDT and who is curious about the true wilderness of the Rocky Mountains. On the same evening, join Ben Page, a multi-award winning filmmaker, adventurer and photographer from the UK, who left his home in the UK at age 22 and caught a flight to the farthest place he could imagine – the southern tip of South America. From there he took his first pedal stroke of a three year bike ride home, a journey which would carry him almost 50,000km across five continents. Following his presentation will be the screening of his gripping new film The Frozen Road. Film premieres and presentations from the wonderful world of climbing. After surviving a 100 foot groundfall in 2002, Craig Demartino went back to life on very uncertain terms. “My body and mind were so different, I didn’t know if I could, or wanted to ever climb again.” After moving past the feelings of just being happy to be alive, the rebuilding process began. This presentation will focus on the accident as a catalyst that lead Craig too the life he leads today. Becoming an adaptive climber and teaching others about the power of climbing and being outside, became his life focus as well as climbing full time and travel with his family. 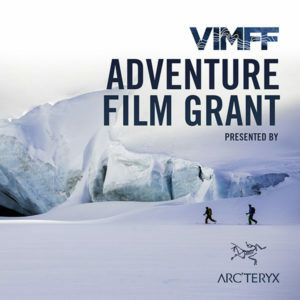 The night will also feature 4 great climbing films including the World Premiere of Ephemera directed by 2017 Arc’teryx Filmmaking Grant recipient Dave Mai. When you think of ice climbing, the sunny Okanagan Valley is probably one of the last places you would consider. Ephemera is a short film about ice climbing in the Okanagan Valley of British Columbia Canada. A night dedicated to pushing self propelled adventure & exploration by Canadians. 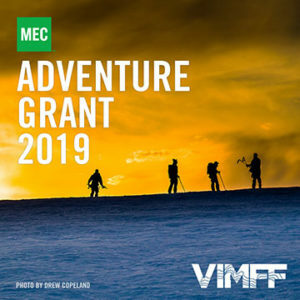 Hear from 2017 MEC Adventure Grant recipients Steve Tersmette & Shawn Emmett, as well as Lorraine Blancher & Robin Munshaw. Both teams embarked on epic journeys in very different locations. Steve and Shawn travelled nearly 280 km on foot by roughly combining the Southern Purcell Traverse and the Bugaboos to Rogers Pass traverse, two of the grand ski traverses in Western Canada. Lorraine and Robin pioneered through new backcountry mountain bike trails with local communities in the Atacama Desert of South America. Both stories will leave you craving new adventures! 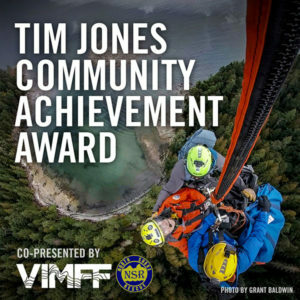 You also won’t want to miss the film Strong The Wind Blows directed by Benjamin Jordan, who won the 2016 MEC Adventure Grant through VIMFF. For ten years Canadian Paraglider pilot Benjamin Jordan had dreamt of flying like an eagle, across the entire span of South Western Canada’s mountain ranges. But there was a catch. Nobody had ever done it before, and for one, very good, reason. Join this unprecedented, Aerial and Mountain Adventure as you soar across British Columbia & Alberta’s most incredible landscapes. Want to enjoy some of this year’s top outdoor adventure films? Brand new for 2018, VIMFF ‘Best of’ shows are stacked with back-to-back, award-winning films. Catch 4 of the ‘Best of’ shows at the Rio Theatre and read more about the films here. 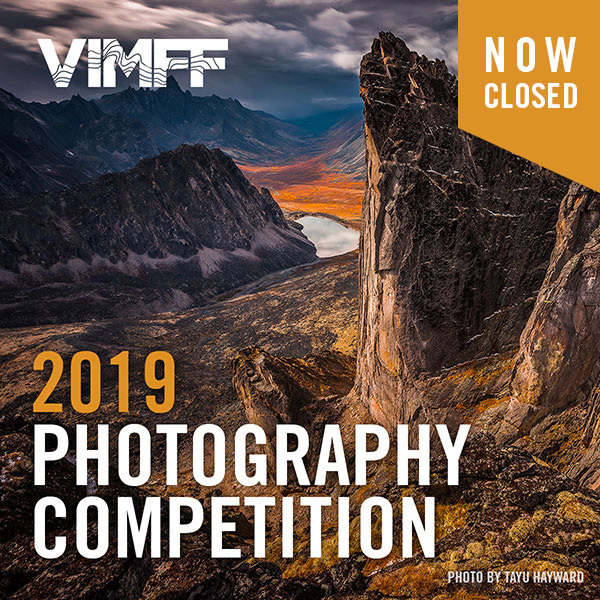 Thank you for supporting VIMFF and all of the local theatres we host our shows at! Without venues like the Rio, we wouldn’t be able to do what we do and provide our VIMFF community with such great and memorable experiences.